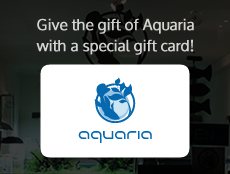 Aquaria provides a range of services for aquascapes and similar miniature ecosystems. whether your setting is an office or hotel, a restaurant, a hospital or a private space. We use only fish and grasses that we have carefully screened as suitable for aquascapes. Aquaria has a wide variety of plants, and we work with our clients to design an aquascape that meets the desired look and budget with a balance for the intended space. Do you have a space where you would like to install an aquascape? We will visit your location to provide a consultation on the kinds of miniature ecosystems that would match. We also provide aquascape installation services. Aquaria has trained staff members who provide maintenance and upkeep of water tanks. Appropriate maintenance ensures your aquascape remains beautiful for your enjoyment. Ask us about our long-term regular maintenance service. Aquascapes make a pleasant addition to any space. Locations where aquascapes are often placed include commercial facilities, schools, hospitals and corporate lobbies. Restaurants and homes are also popular locations.